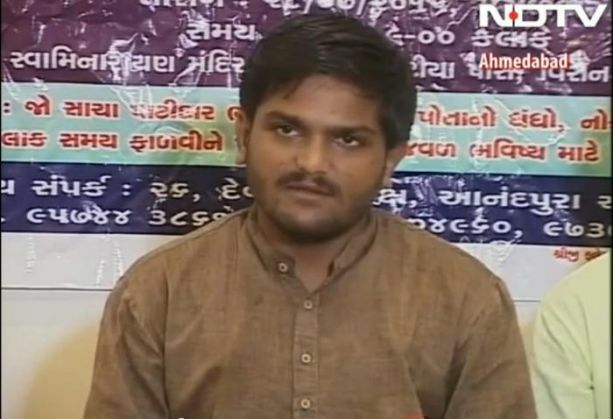 Hardik Patel, the man behind Patel agitation in Gujarat has now extended his support to the Gujjar community in Delhi demanding return of their lands acquired by government. He has also announced the expansion of his movement across the country so as to rope in leaders from other communities. Patel said his Akhil Bhartiya Patel Navnirman Sena (ABPNS), an umbrella organisation of Patels, Kurmis and Gujjars, will work for the rights of its communities in different parts of the country. Beginning with Delhi, he said, "When we came to Delhi, we learnt that our brothers' lands had been acquired at meagre amounts and now huge structures have come over there." Addressing volunteers of ABPNS, he said, "We have to fight a battle for our Gujjar brothers. Whatever land that is available and where no work is happening should be given back to our Gujjar brothers." He said a rally will be organised at Ramlila Maidan here to press the demand for return of the land of the Gujjars. He, however, did not specify when will the rally will take place. Patel said important structures like the Rashtrapati Bhavan, Akshardham and the Parliament have been built on the land acquired form the Gujjar and Kurmi community leaders. Sending a word of caution to the BJP, he said, "In Gujarat we saw that if anyone that has helped make a Prime Minister then it is us, so we should not be harmed". Patel is already at loggerheads with the BJP-led government in his home state by leading an agitation for reservation for Patels there. He insisted that he did not want to give any political shape to the newly-formed organisation but added that a decision on this will be taken at a time when required. "It is a non-political entity where social issues will be discussed. Its job will be to protect the people of Patel, Kurmi and Gujjar community, farmers, workers and women. "We have spread our organisation in Gujarat, Uttar Pradesh, Bihar and Chhatisgarh. We should built such a strong organisation that whenever the Patel Navnirman Sena make a call, the country must come to a standstill. There should be one voice of the Patels, Marathas, Kurmis, Gujjars," he said. Google Nexus vs Apple iPhone: what's with the weird trend of buying the more expensive phone?